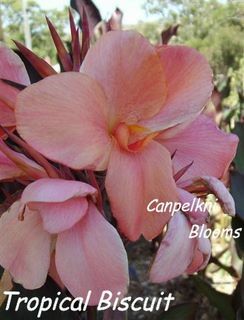 Shades of Pink Canna colors everywhere, it is a very popular color without doubt and found in gardens of most keen home gardening enthusiasts. Their flowers can be subtle or bright in their appearance, choose the color shades you like and please yourself. 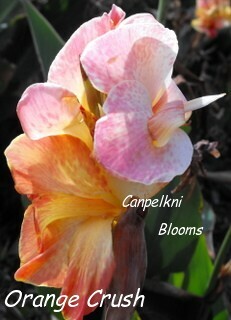 I once had one lady visit to buy some canna plants and all she wanted was a choice from the pink color shade, her garden must have been something to behold as apparently her whole backyard garden design was colored with an array of different flowering plant varieties all of the same color, however now it includes some pink flowering cannas. 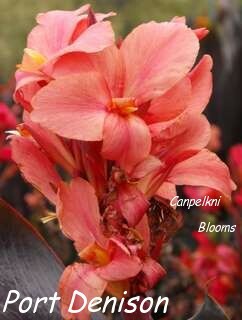 Canna Orange Crush, medium height, green foliage. 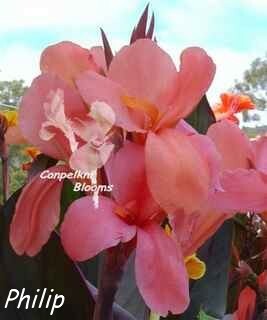 Canna Philip, medium height, colored foliage. 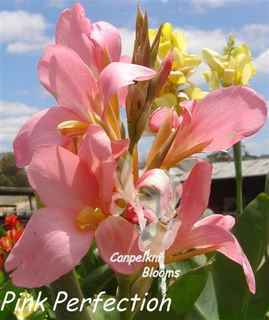 Canna Pink Perfection, medium height, green foliage. 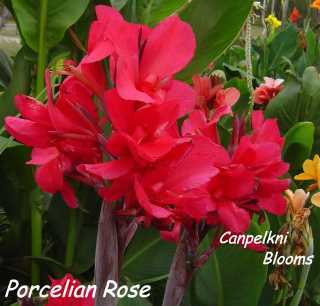 Canna Porcelian Rose, medium height, green foliage. Canna Port Denison, medium height, colored foliage. 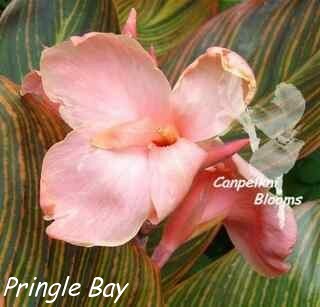 Canna Pringle Bay, short height, variegated foliage. 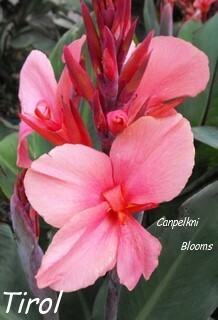 Canna Renee, short height, colored foliage. 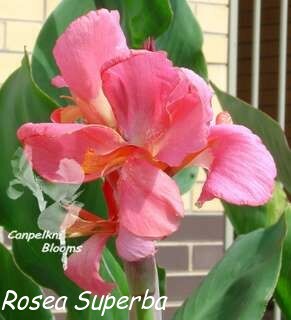 Canna Rosea Superba, medium height, green foliage. 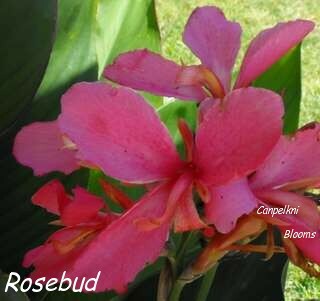 Canna Rosebud,short height, green foliage. 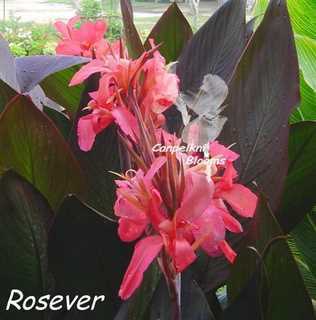 Canna Rosever, medium height, colored foliage. 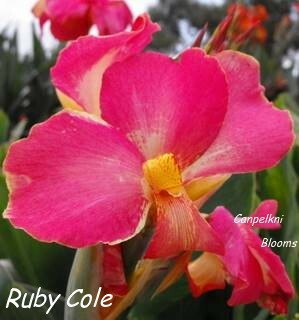 Canna Ruby Cole, medium height, green foliage. 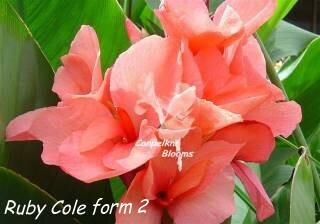 Canna Ruby Cole form #2,short height,green foliage. Canna Tirol, medium height, colored green foliage. 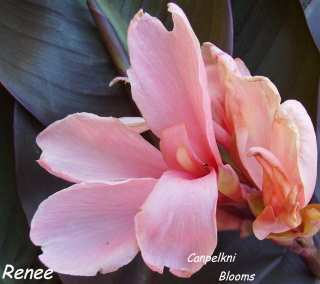 Canna Tropical Biscuit, medium height, colored foliage. 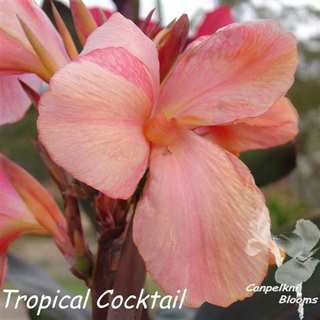 Canna Tropical Cocktail, medium height, colored foliage. 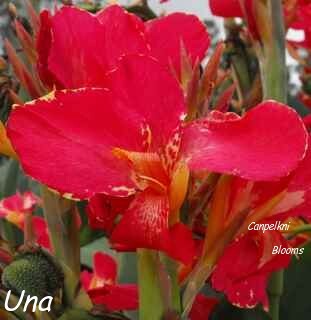 Canna Una, medium height, green foliage. 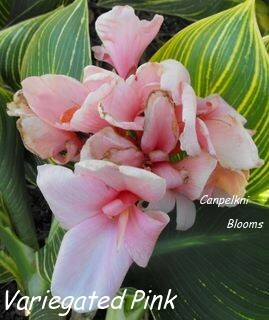 Canna Variegated Pink, short height, variegated foliage. 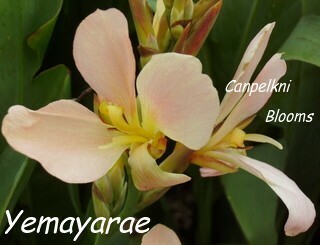 Canna Yemayarae, medium height, green foliage.